25 JAN GUY TORTORA DUO: support to Rick Estrin & The Nightcats: at the Wilfred Noyce Community Centre, Crown Court Car Park,Godalming, Surrey GU7 1DY. Tel: 01483 523112 Doors 7:45. Presented by Eclectic Live Music, Guy and keysman Janos Bajtala will play an acoustic support set to the fabulous Rick Estrin and the Nightcats, one of the world premier blues acts and winners of many awards Info and Tickets via the WEBSITE of Eclectic Live Music. 1 FEB "TnT" - TORTORA & TYZACK at THE BLUE BOAR, Maldon: 3 - 7 Silver Street, Maldon, Essex CM9 4QE Tel 01621 855888 Presented by Tim Aves, Guy & Ben will bring their classic blend of Americana, Roots & Blues to this great little venue in Maldon. Expect great songs, beautiful guitars, ans superb playing! 8 PM. Check the event page on FACEBOOK's pages. 22 MAR TORTORA & TYZACK - HOOCHIE COOCHIE CLUB - Louth Jazz Club: 51 Queen Street, Louth, Lincs LN11 9BJ Doors: 7 PM. The first time for T&T at the fantastic Hoochie Coochie Club. Find them HERE on Facebook! 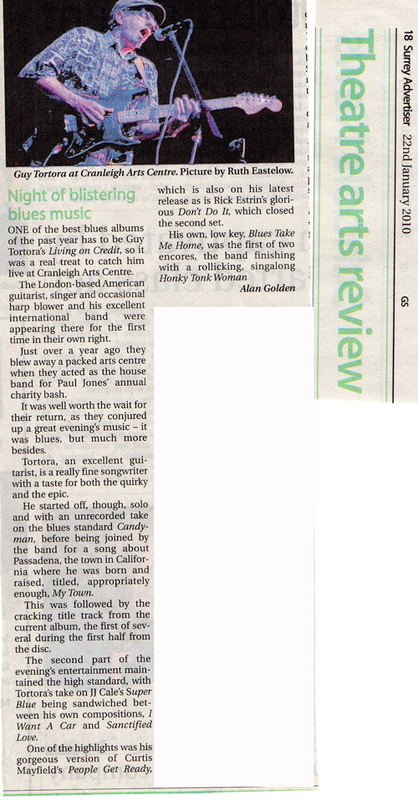 6 MAY "TnT" TORTORA & TYZACK at Blues At The Barns: Creeksea Place Barns, Creeksea Lane, Burnham-on-Crouch CM0 8PJ. A Fantastic day of Roots & Blues organised by Tim Aves with nine hours of awesome music - including Tyzack & Tortora!! Book Now Via Their WEBSITE or telephone the Parlour Cafe: 01621 786503 Starts around Mid-day. 28 JULY GUY TORTORA DUO: The Tall Ships, 134 Southgate Street, Gloucester GL1 2EX Starts 8:30. Part of a number of gigs in Gloucester for the annual Blues Festival. 12 OCT GUY TORTORA BAND - St. Harmoonica's, London: A return for Guy & Band at this popular club in Palmers Green. Info from theirWEBSITE or their Facebook Page From 8:30 until Late! 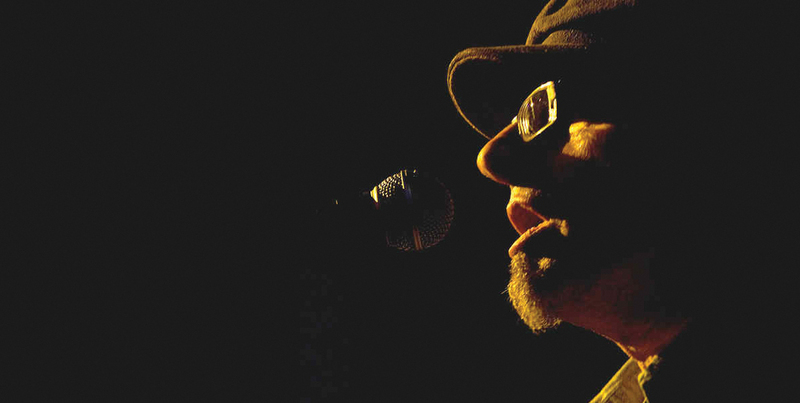 16 OCT GUY TORTORA BAND at Tuesday Night Music Club: Now in a new venues! Guy & Band return to the TNMC: The Comrades Club, 194 Brighton Road, Coulsdon CR5 2 NF. 8 PM. Tickets from the Comrades Club or see their WEBSITE or FACEBOOK pages. 2 - 4 NOV "TnT" TORTORA & TYZACK on a Blues Mini-Cruise to Amsterdam: The International Blues Review Mini Cruise this year has many quality acts inc. Lightnin' Willie, Sam Kelly's Station House, TnT and others. Not to be missed! Tickets and info fwill be found HERE The cruise leaves Hull on 2 Nov, returns on the morning of the 4th. 8 DEC GUY TORTORA BAND at Heathlands Boogaloo Weekend: Another great weekend of Blues, Roots, and RnB from Boogaloo Pormotions. Full info and booking details at their WEBSITE Guy & Band will operform on Saturday night + acoustic session of Sunday morning. Website © 2011 Guy Tortora & Turtledove Records. Design by Neil Littman. Build by Matt Rose.